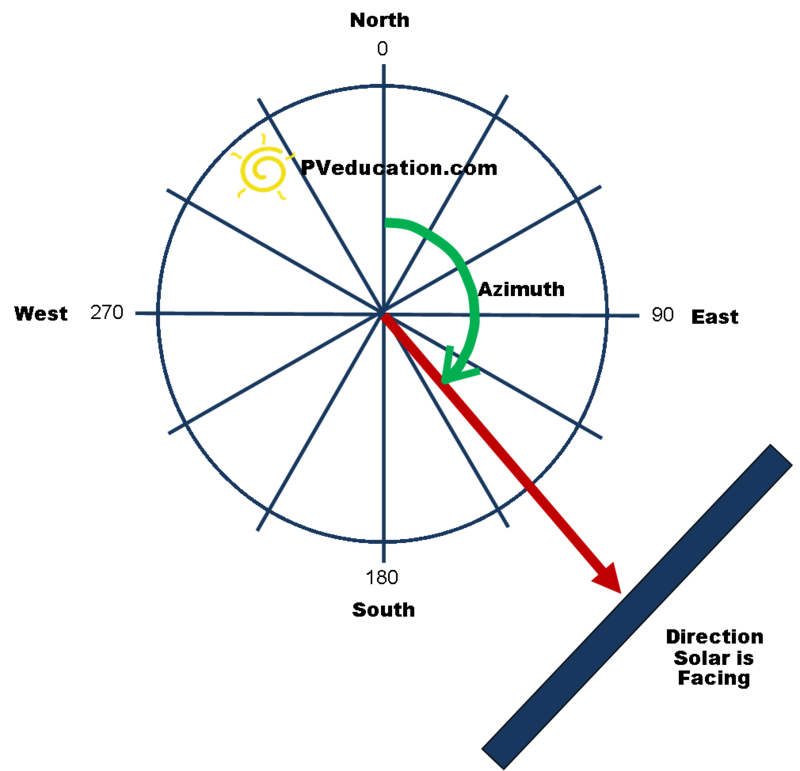 Solar Azimuth is the angular measurement that represents the direction a tilted solar module or solar array will face. It is most commonly measured with reference to True North. With North being known as 0 or 360 degrees and south being 180 degrees.